The first proper firmware update for the (new) Galaxy A7 brings another camera mode for the device. The Galaxy A7 Super Slow-motion video recording mode is included in the update that’s rolling out today. It’s a basic iteration of the feature so don’t expect to take Galaxy S9-quality slow motion videos. 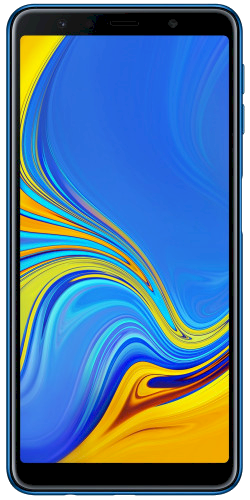 The Galaxy A7 is a unique handset in Samsung’s lineup as it has three rear cameras. It stands out because of its wide-angle lens. It’s also the first Samsung smartphone with a side-mounted fingerprint sensor. No firmware updates have really been released for the device since it was launched. That’s likely because it’s on the quarterly cycle for the security updates. The update that’s rolling out brings the security patch for November 2018, though. That’s despite the fact that Samsung has now detailed the December 2018 security patch as well. That may not matter much to those who are excited to try out the Galaxy A7 Super Slow-motion video recording mode. The update weighs in at just over 275MB and this is the only major feature that it brings. Once the update has been installed, the Super Slow-motion mode can be found among all of the other camera modes. The implementation is fairly basic as previously mentioned. It can record slow-motion videos at 720p. That’s the extent of this feature’s usability on the Galaxy A9 as well. The firmware version A750FNXXU1ARK2 which brings this feature has been rolled out in a handful of markets. The list includes Greece, Hungary, Czech Republic, Ireland, Slovenia, Switzerland, Austria and the Netherlands. It’s also available for download from our firmware section. This should come to the more premium A8/A8+ too as they same share chipset! Hope Samsung doesn’t neglect A8/A8+(2018). Phones with inferior chipsets are getting AR Emoji.